Andrew has been an Art Beast coach and teacher since 2012 and is now one of two Co-Assistant Directors. He studied Fine Arts, graduating from CSUS with a minor in Apparel Marketing and Design. Andrew has done nearly everything at Art Beast from maintaining the space to managing the piles of paperwork at the front desk, and teaching camps and classes. Andrew’s gentle spirit, constant smile and love of all things super-hero has made him a favorite among staff and families alike at Art Beast. Nancy is a student at Sac State, a drum line instructor at a local high school, and she is the Co-Assistant Director at Art Beast. She has worked and taught several music and art classes and camps at Art Beast since Spring of 2013. As an avid creator, she is also the designer of the many whimsical creatures and scenes that fill our front windows and studio. Whatever her pursuit, Nancy brings much originality and fun into the experience of her classes and camps. Erika has been an Art Beast coach since the spring of 2015. Her positive approach and empathetic personality adds a great vibe to our environment! She is currently studying at Sacramento City College to pursue the nursing field. Nicole started working at Art Beast in 2015. Currently, Nicole is working on her general education at Sacramento City College. She loves drawing, playing guitar, and writing poetry. Nicole says her favorite thing about kids is their kindness and creativity. Resha is a loving mother of a very energetic young toddler who has been working at Art Beast since the Spring of 2017. She is passionate about photography and loves leading messy workshops. Resha says she has always been creative and artistic in her “own special way” and she has already completed several courses towards a major in Photography. The first thing you will notice about Resha is her wonderful smile and engaging and kind personality. Courtney began at Art Beast in the Spring of 2018. She is also a Reiki Practitioner here in Sacramento. Courtney loves wearing Birkenstocks with socks, traveling, hiking, reading, crocheting, knitting, and eating. Her cat and dog help her daily in achieving her dream of becoming a Hobbit. Taryn is a student at Sac state studying to become an accountant. She enjoys music-both listening to and playing the flute. Taryn started working at Art Beast in the Spring of 2018 and you can usually find her getting the studio tidy or putting on a puppet show in the drama den. Eva started working at Art Beast in 2018 and is a student at Sacramento State. She is studying percussion performance and wishes to continue her education by applying for the credential program after her graduation. Penelope is 24 and a visual arts grad student at CSU Fullerton. She loves working with children and aspires to be an art teacher. She also loves the outdoors and her dog, Birdie. 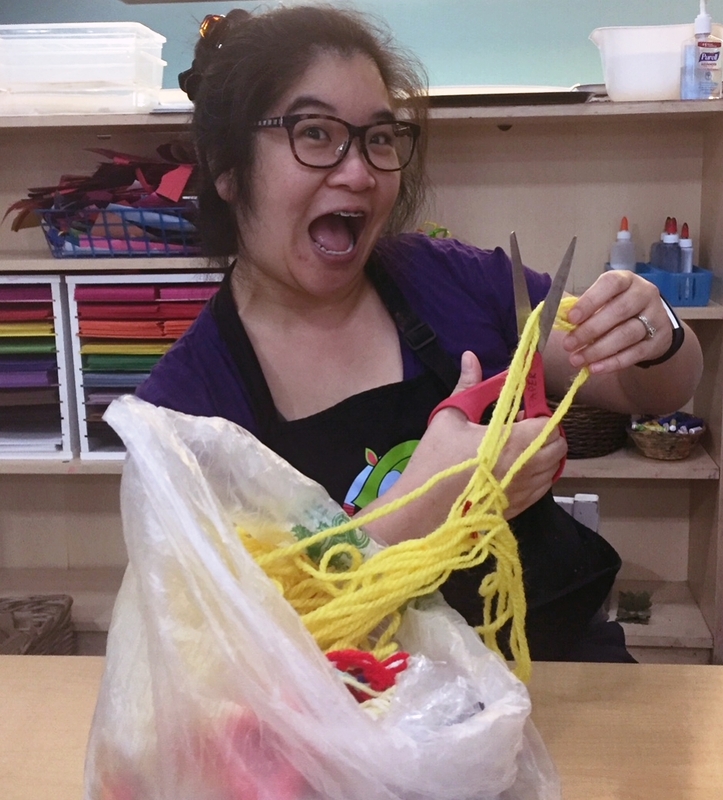 Leslie is a mother, artist and children’s librarian with a passion for bringing stories to life through art and encouraging families to get messy! Leslie has a MLIS degree and over 15 years of experience working with children and families and has been a lifelong lover of the arts who has dabbled in many mediums. Leslie has taught classes at Art Beast since 2012 and coordinates our classes and outreach activities as well as running Club Beast and providing process art training to educators. Leslie loves most all art forms but particularly photography and needle felting. She loves to spend time walking around Midtown with her family, reading and eating great food! Carlos is our newest teacher! He is very passionate about music and rhythm and has been playing drum set with bands and on his own for 8 years. Carlos believes that drums require focus, while also giving space to have fun and let loose. He is excited to start teaching our little beasties the fundamentals of percussion! Ismael is a student at Sacramento State University where he studies Percussion and Music Education. After completing his degree, he plans to pursue a career as a music therapist specifically behavior therapy. Ismale has taught middle school and high school drumlines throughout the Modesto area. 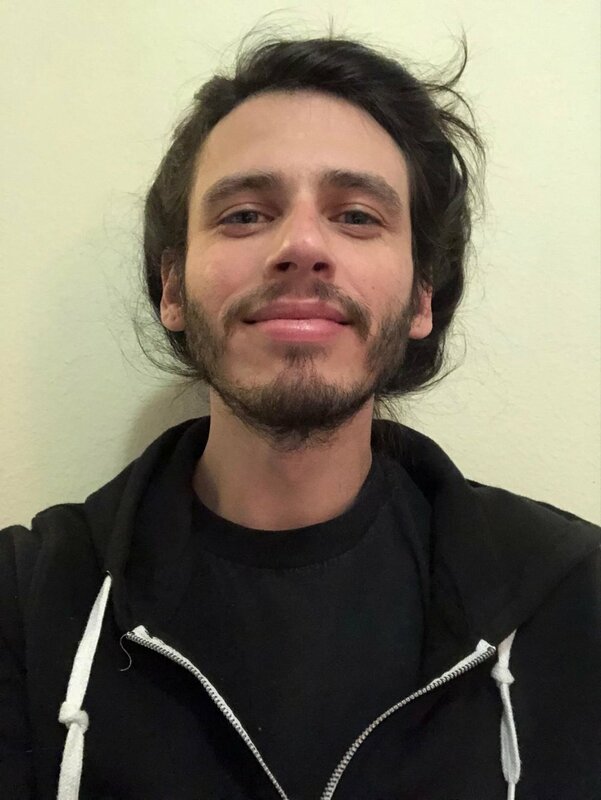 He started at Art Beast in December of 2018an is excited to be a part of such an amazing co-operative that not only takes care of their patrons, but the community as a whole. Jamie is a Wildlife and Forestry Conservation student who is a lover of the outdoors and the natural world. Since 2013 she has been working with children in art integrated education. She has experience running Child Care programs as well as teaching art. She enjoys spending time travelling, going on road trips, hiking, camping, playing guitar, cooking, barbequing in the backyard, and painting with mixed media. You can find her sipping a cup of coffee, walking her puppy Fang by the river, or sunbathing on a warm day. She plans to buy some land, build a home and live a sustainable, quiet life, surrounded by trees, mountains and water.